All hail the sun! 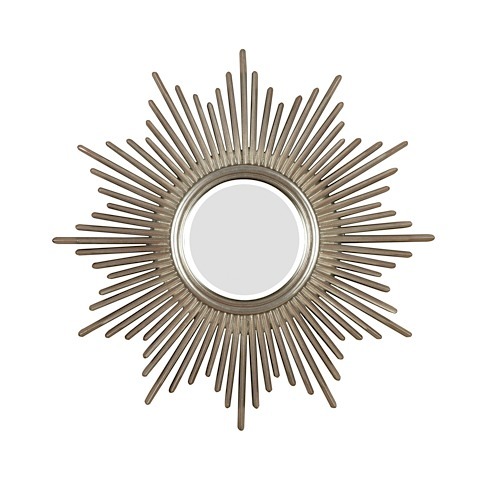 Bursting with regal style, this mirror is hand finished in an antique silver finish with warm highlights to adapt to any decor. The overall dimension of the piece is 36” in diameter. 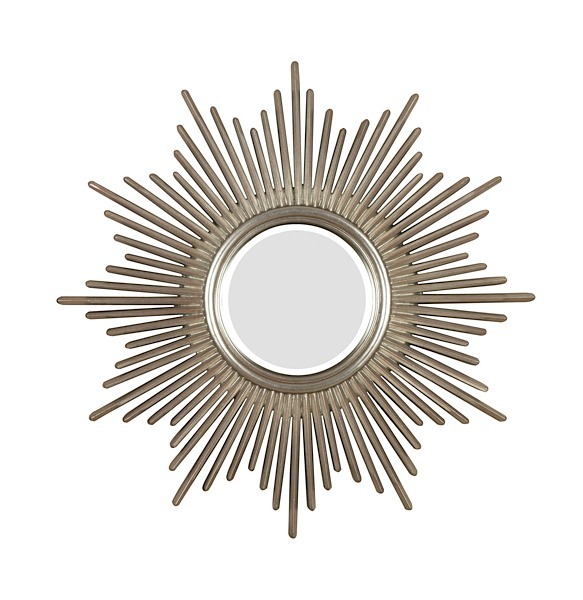 The central mirror component is 12” in diameter. The two hanging brackets come pre-installed on the frame.